Back in 2002 when I sought a divorce, I had no idea that there was a way to get divorced that didn’t include trashing my future ex-husband’s name through the mud, fighting lawyers, loads of money going to those fighting lawyers, turmoil for my kids and bad feelings all around. From everything I had seen on TV and from discussions with my friends, that’s how people got divorced. I was upset at my ex, of course, that’s part of the reason we were in this situation, but I realized that he was always going to be the father of my children and spending time and money to prove I was “right” about everything wasn’t going to solve any problems. 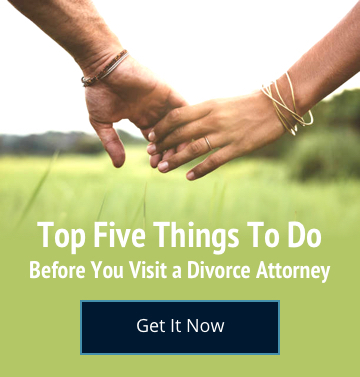 Luckily, we had a consultation with an attorney who mentioned that since the divorce was uncontested, we might want to consider divorce mediation first. We found a mediator who specialized in family law matters and over the process of a few weeks, we were able to decide on issues such as child support, custody, and division of assets and debts. We managed to remain on good terms and through the years, have celebrated our children’s achievements together, comfortably, and have co-parented with ease. Fast forward to 2011. Unfortunately, we have recently realized that the mediator we used didn’t touch on all of the financial issues that should have been discussed and decided back in 2002. That’s where having a mediator who is also a family law attorney would have benefited us. Brian Steinberg is a high experienced Las Vegas divorce attorney and mediator. His mediation model covers all of the issues my ex and I discussed, plus issues we never thought of at the time, because Brian has so much experience with divorce mediation over the years. He’s mediated hundreds of divorce actions and in 15 years, a Judge has never set-aside any of his divorce mediation cases. If you’re thinking about divorce mediation, I suggest you take Steinberg Law Group up on the consultation offer. You will spend thousands less than if you hire opposing lawyers and go to court. You’ll also save yourself time and heartache. Talk to Brian about divorce mediation… you’ll be glad you did.